My Dream to Bring Technological Revolution in Pakistan has materialized with the Advent of 4G, Ms. Anusha Rahman Minister IT. 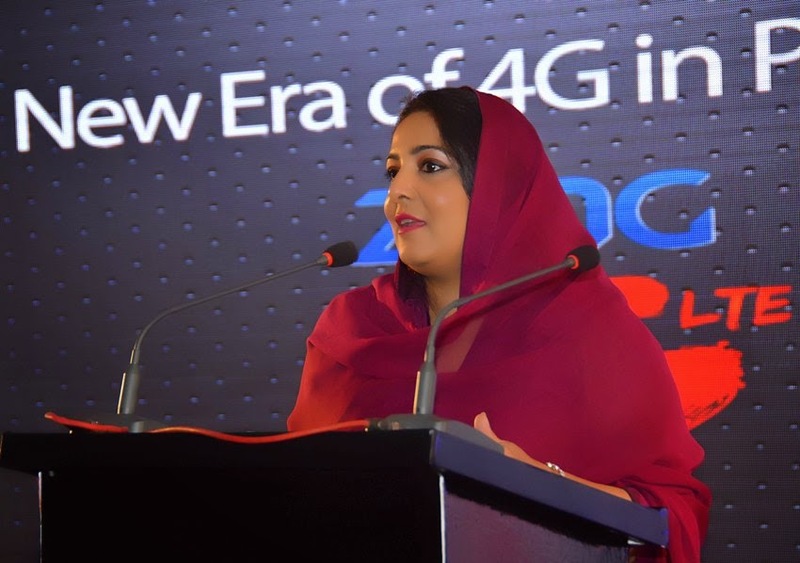 Minister of IT and telecommunication, Ms. Anusha Rahman has said that with the advent of 4G service, an era of accelerated digitization has begin in Pakistan. She was addressing as Chief guest at launching ceremony of 4G/LTE services by China mobile company (Zong) here in Islamabad today. Federal secretary IT Azmat Ali Ranjha, chairman PTA Syed Ismael Shah, senior executives from FAB were also present there. The Minister said that it was my dream to bring technological revolution in Pakistan and we strived hard to materialize that dream. Initially, we faced many hardships because, I was told that eco system was not favorable but with the blessings of Almighty and strenuous efforts of my team, a moment came when survey was conducted in November, 2013 & eco system had taken a shape. PTA hired renowned consultant’s value partner from UK who had a vast worldwide experience of conducting spectrum auction. We had multiple rounds of negotiations with all stake holders and agreed upon the fixation of reasonable base price. Then Ministry detached itself after announcing the policy guide line for spectrum auction through MI (Memorandum of Information).Then PTA came forward & operational part of the spectrum auction started and eventually spectrum auction was conducted in a transparent, competitive and in an efficient manner, In accordance with best practices across the globe. Unfortunately we could not have new entrant due to scarcity of time. Telco's also showed their keen interest and confidence in the auction process. The minister said that today I am standing with the sense of satisfaction & contentment that my dream has become reality but journey of accelerated digitalization is still there. Now we are negotiating with China mobile for the local manufacturing of smart phones in public/private partnership, So that people of un served/underserved areas could be benefited with this technological advancement in the country. The project for the establishment of 500 Tele centres in far flung /rural areas of Pakistan is being carried out by USF and the Ministry is vigorously pursuing this project for its timely completion so that basic e-services (e-health, e-learning, e- agriculture) could be provided to the people of Pakistan. The Minister further said that establishment of research and innovation centre in public/private partnership is also on our agenda. So that our youth could get maximum benefits of these technological advancement and we could develop our Human Resource adequately through such ventures. The Minister extended her heartiest felicitation to DR. 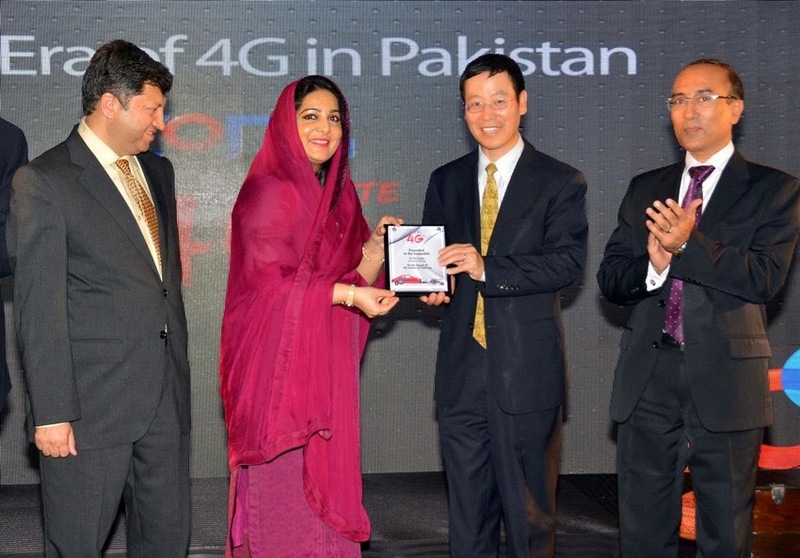 Fan Yunjun CEO China mobile and his dedicated team for successful launching of first ever 4G Mobile services in Pakistan. Dr. Fan hailed the continuous support of the Government, Ministry of IT & PTA in the successful launch of this advance technology. He acknowledged all who facilitated Zong throughout the entire process and reinforced that without the Government's positive vision this mobile internet revolution would have remained a distant dream. Dr. Fan Yunjun also shared congratulatory note to other teleco's and stated that together as an industry ,we can work continuously to redefine the local telecom sector. He paid special thanks to the Minister and Secretary IT for gracing the occasion.